I so wish I’d doubled this recipe while I was making it. Tripled, or quadrupled even! These are so scrumptious…perfect for the fall season. 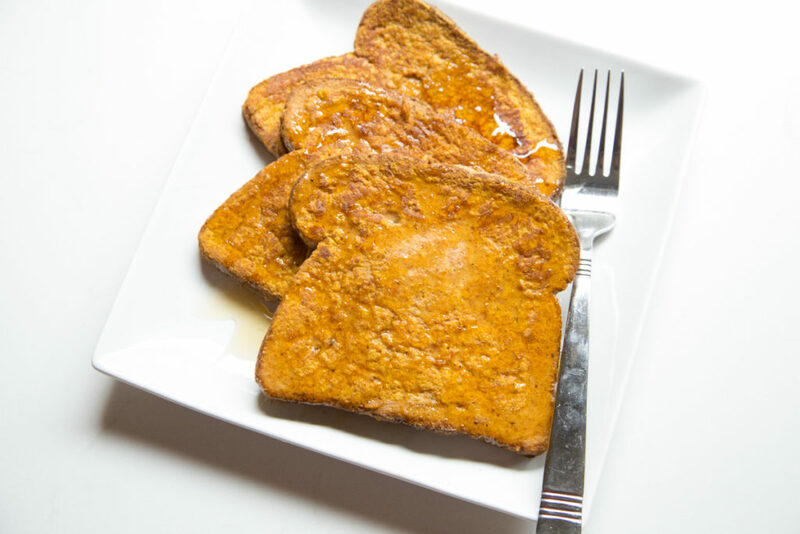 It’s really simple…you just add some pumpkin puree and spices to the egg-milk mixture. Then make French toast as you would. The eggs, milk, pumpkin and spices. They will cook just fine. Cook in skillet or on griddle. Grease in between batches too. The flipped side with some drizzles of maple syrup. With the leftovers, I cut them into “french toast sticks” and froze them. They freeze beautifully and the kids got to enjoy them for lunch a few days later! **The first 1 minute of this video had no sound (doh! ), so fast forward a smidge to when the sound kicks on! Set out the bread for dipping. 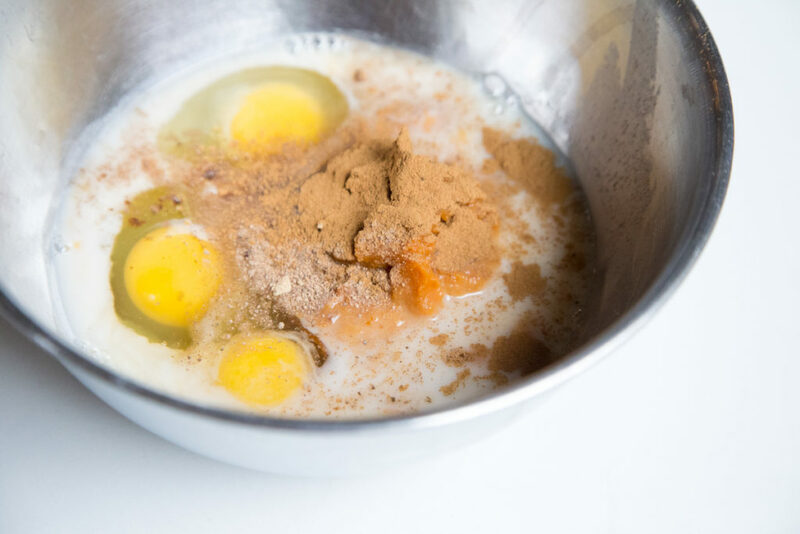 In a medium mixing bowl, whisk together the eggs, milk, pumpkin and pie spice until smooth. 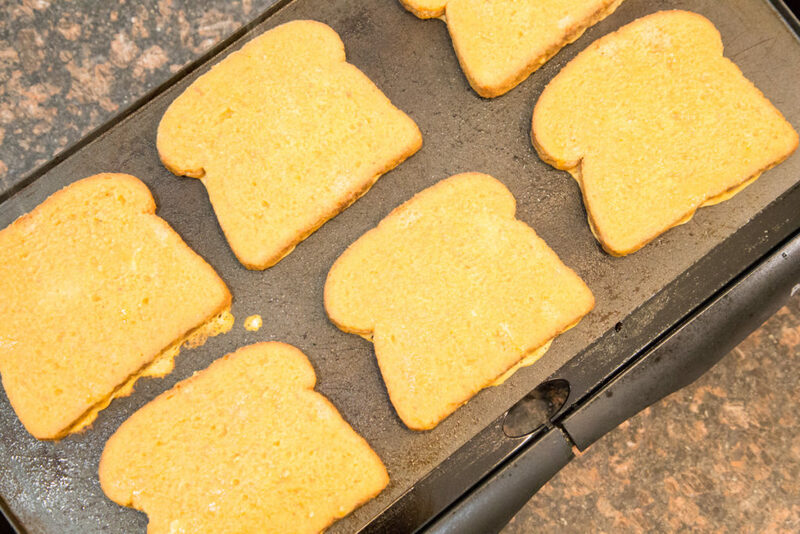 Dip each side of the bread and cook on a hot, greased griddle or skillet. Flip after 1 – 2 minutes. Once all are cooked, serve with butter and maple. And a side of fresh fruit. If freezing, let cool completely to reduce freezer burn. Enjoy this perfect fall “breakfast for dinner”! 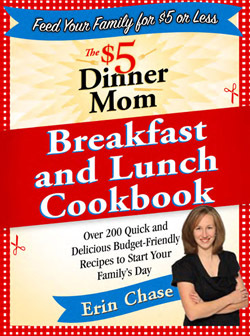 Want more great breakfast recipes from Erin?!? What’s up colleagues, nice piece of writing and pleasant arguments commented at this place, I am truly enjoying by these. 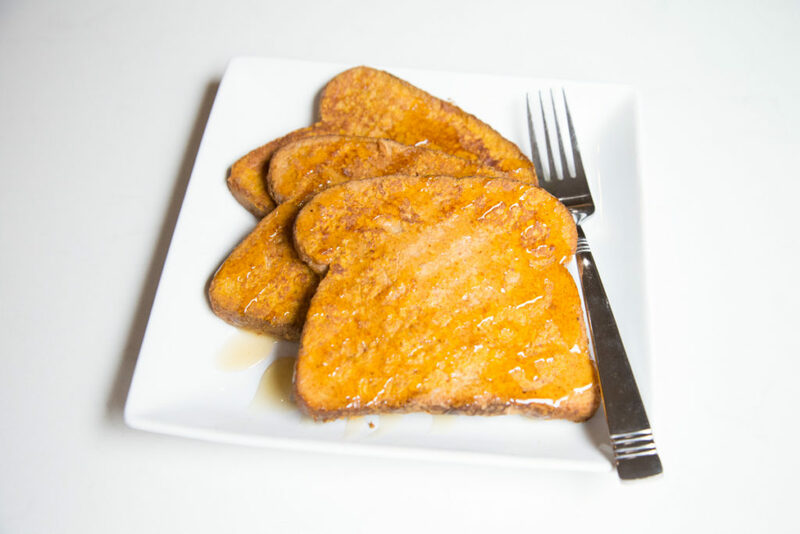 I made these last night for dinner, because breakfast for dinner is always awesome! They were very delicious. I think that the people that got soggy french toast and only got 7 slices do not know how to make french toast. You get it in and out of the batter and onto the pan as quickly as possible. I got 12 slices from this recipe. I really was so delicious and such a great way to sneak in a veggie for breakfast! I did use pumpkin pie mix that already has spices and some sweetener it it. I’ve never made anything pumpkin related so I have no idea what home pumpkin pie spice is. Can I find it in the grocery store? Can it be labeled just pumpkin spice? This is delicious! Hoping the left over batter stores well for tomorrow morning.